Australian born and mother of three, Zsuzsa has lived in Singapore since the start of 2013. 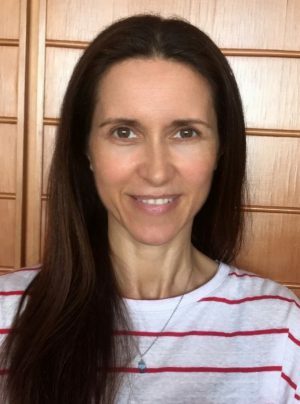 Having studied Natural Therapies in Australia over 25yrs ago, Zsuzsa discovered her passion in life; helping people heal their body’s through nutrition, natural medicine and manual therapy. After having her children she decided to take a break from Natural Therapies to spend more time with her family. Zsuzsa then went on to own a Taekwondo centre, reaching her 2nd Dan Black Belt and studying personal training through Fitnation to further compliment her clients. The demands of a personal business soon took a toll on her young family, which led Zsuzsa to pursue her teacher training of 3yrs.-12yrs cycles, in the Montessori Method. After moving to Singapore she continued the Montessori Method and has home schooled her children for the last six years. Never straying too far from natural medicine, Zsuzsa has continued to be an avid researcher, staying abreast of the latest developments in illness and the integration of natural medicine supporting the body to heal itself. Her specialist area of women’s health finds her currently writing a series of books on women’s hormonal health from ages 30yrs – 60yrs. Being a people person and wanting to be in the healing field where she could meet people who shared a like mind. Zsuzsa decided to persue her second great passion in life – Pilates. Doing her Comprehensive Pilates training with Polestar Pilates was an obvious fit. “There is so much synergy between Pilates and Natural Medicine, one healing the body through nutrition the other healing the body through movement and alignment. Seeing the positive impact in people’s lives through the integration of Joseph Pilates Contrology has been immensely rewarding”.